Why is everyone asking for glass balconies? So you think it is a superior product to wrought iron rails? I am biased of course towards glass balconies. I would say however that some properties are complemented by the traditional wrought iron steel work but in a more general sense, I believe that people prefer the clean look of glass and that some of the metal work is abit too “cage” like for my taste. Even with glass there are many options, are there not? Yes, there certainly are. There are many different products, suppliers and systems out there. Structural Glass systems which employ very thick glass and do not use vertical metal posts. Posted systems which use “glass clamps” or “lugs” to hold the glass. This type of glass balcony will usually have a vertical post every metre or so and on the corners of the balcony. The third category is our unique and proprietary system, which hads to have a category all of its own. 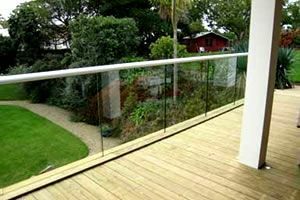 Our glass balcony system can in some instances be applied with no vertical supports, and if required they are not very frequent, that is every two metres or so. And when vertical members are present they are very clean and slick, they have no “Mickey mouse” clamps or lugs. Now you have confused me, what is ”Structural Glass”? Structural glass means the glass is the “structure”. Glass here is being used not just as a panel but as the structure and is a structural member. The actual resistance to loads, people, wind and pressure is being taken up by the glass. 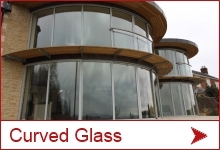 The glass is cantilevered from the bottom where it is fixed inside a channel or clamped. 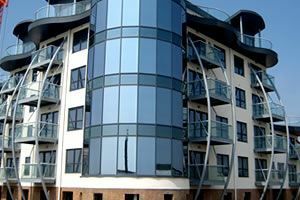 The main advantage to structural glass is that in all cases it will not require any vertical posts, the main downsides are that it imposes a great stress on the structure both in weights and load and of course it is far more expensive than other systems. 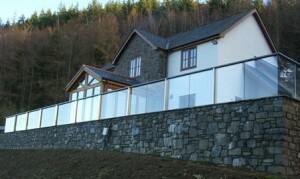 Below are some pictures of structural Glass Balustrades we have supplied to a project in Jersey. Note there are no vertical posts. That looks very similar to your companys’ product though? 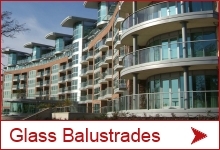 It does, as in some cases our glass balustrades do not require any posts. In those cases they look very similar to frameless glass balustrades. 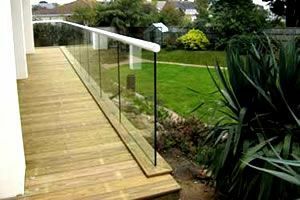 Why would you recommend your glass balustrade product as opposed to structural glass then? First because it’s my job too; but seriously from customer feedback we have learned that the price of our system is between half to a third of the cost of structural glass, yet the end result is very similar. But not only the cost factor is in play. Another important aspect is maintenance and any future replacement of glass panels. This is very difficult with structural glass, whereas with the Balcony balustrade system it is very easy. 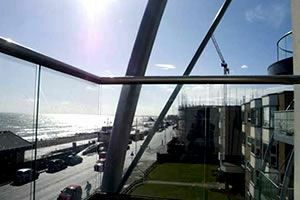 Here are some pictures of Balcony system Glass Balustrades we have supplied to a project in Bognor Regis. On the balconies we were able to make the glass balustrades without any vertical posts and use 10mm glass. Can you give me an idea of market prices for the three categories you mentioned? The traditional “posted” system, with 10mm clear toughened glasses, will cost approximately £350-400 per linear metre in stainless steel. Does weight pose a factor when choosing a system? Can you give me an idea of what weight factor the three categories impose? Weight can in many instances be an important element; particularly on balconies that are cantilevered off the structure. On cantilevered balconies the weight becomes a critical factor in calculating the “reaction load” of the balcony structure. An axiom in structural engineering is “the more weight the more structure to counter the weight”. Here are weight estimates for the three categories. The traditional “posted” system, with 10mm clear toughened glasses, will weight appx: 40-50 kg per metre. 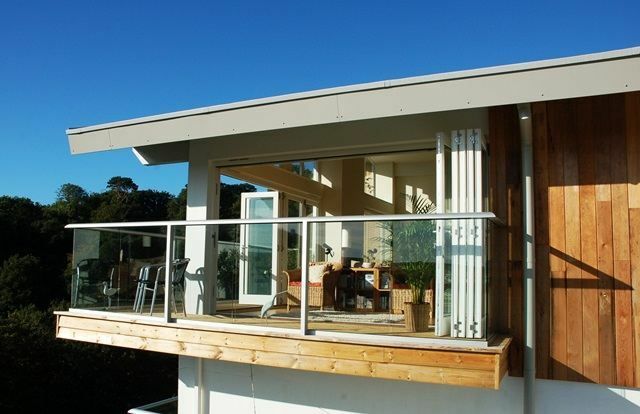 Our proprietary Balcony system glass balustrade, with 10mm clear toughened glasses, will weight appx: 30 kg per metre. So to summarise you can see that a “glass balcony” no matter which system you choose is really a regular balcony with a glass balustrade! We are very open with our costs as we believe this is one of our advantages too. 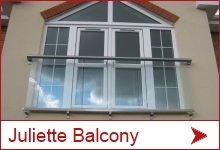 You can follow this link to our dynamic online shop: https://www.balconette.co.uk/glass-balustrade/quote and find out about how affordable a glass balcony is.